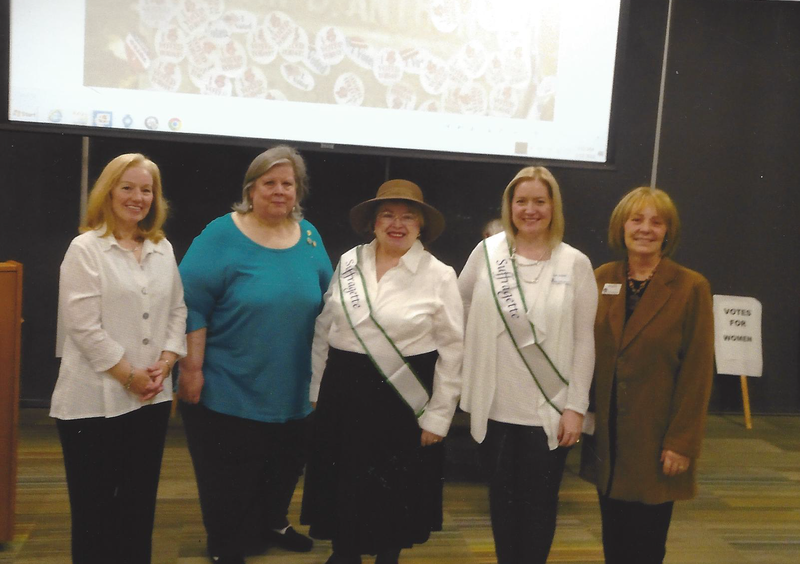 Suffragrette Play presentation to the Montgomery Township Historical Society. Ginny Bailey, in green, and Nancy Werner, in hat, co wrote a production on the Women's Movement from 1848 to 1920. 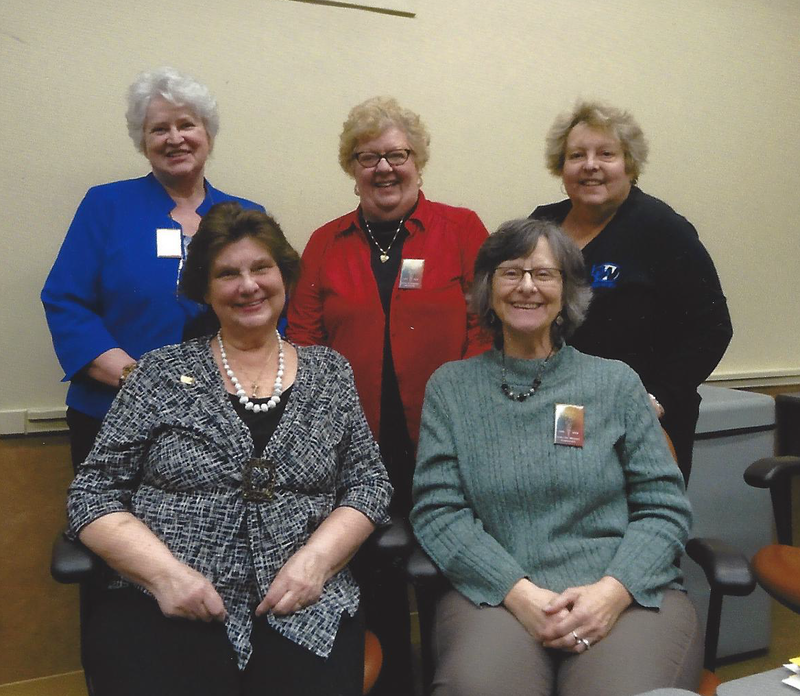 With them are members of the Historical Society that became members of their theatrical group.